Contains 13 essential vitamins and iodine in an easy to administer tablet. 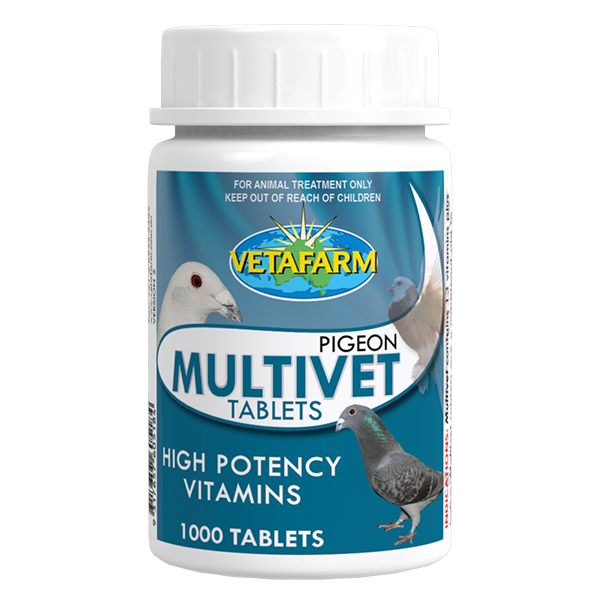 Supports good health and vigour in all pigeons. 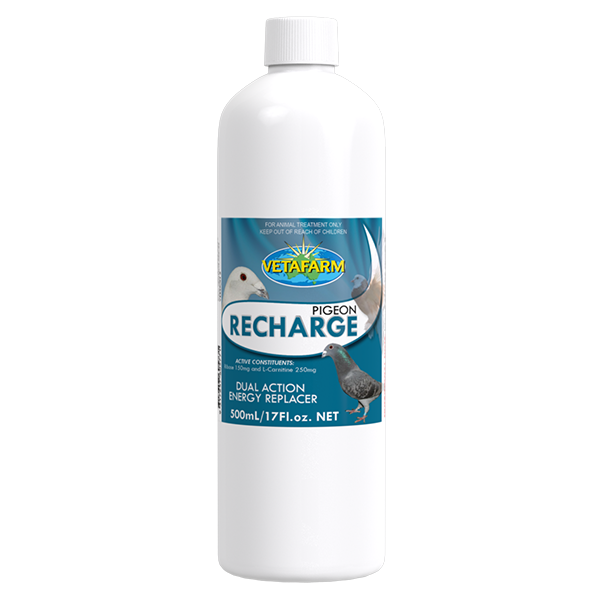 Can be administered to sick or injured pigeons to support strong recovery. 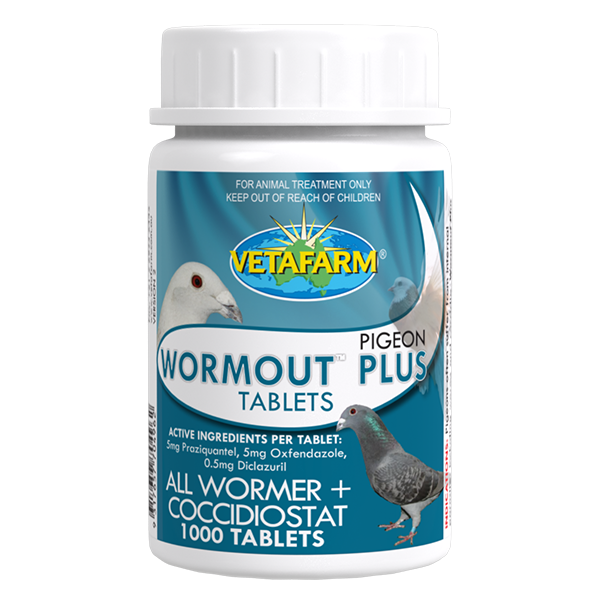 Pigeons to ensure health and vigour. 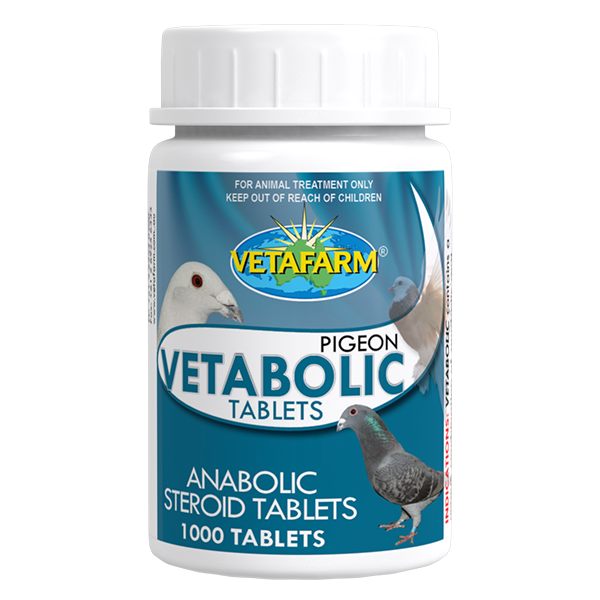 Give one tablet daily per pigeon. Vitamins A, B1, B2, B3, B5, B6, B9, B12, D3, E, H, K, choline bitartrate, iodine.